There are many people who are frightened of dentists and dental procedures. For those patients who really are traumatized, sedation dentistry in the Orange Park area is the solution. Sedation dentistry eliminates a great deal of the anxiety that the patient feels and can be used for all procedures, regardless of whether they are simple or complex. Different chemicals are used to sedate the patient to a level of consciousness that is good for both the patient and the dentist. Minimal sedation will use nitrous oxide, more often than not referred to as “laughing gas”. The nitrous oxide is combined with oxygen and introduced to the patient through a mask placed over the nose. During the procedure the dentist monitors and controls the flow of gas as it tends to wear off quickly. Nitrous oxide allows the patient to recover quickly, capable of driving home without assistance. For moderate levels of sedation, the dentist will give an oral sedation; the drug is from the same family as Valium. The drug will usually be introduced about an hour before the procedure is scheduled. This form of sedation is the most common moderate method; the individual will gradually become groggy and often will fall asleep during the procedure. The patient can be easily woken with little more than a gentle prod. It is not recommended that the person drive home but should be accompanied. Moderate sedation can also be introduced through an IV directly into a vein; this will allow the dentist to continually monitor the state of the patient which cannot be done when oral drugs are administered. Deep sedation and general anesthesia will either get you to the edge of consciousness or completely into a deep sleep, totally unconscious. 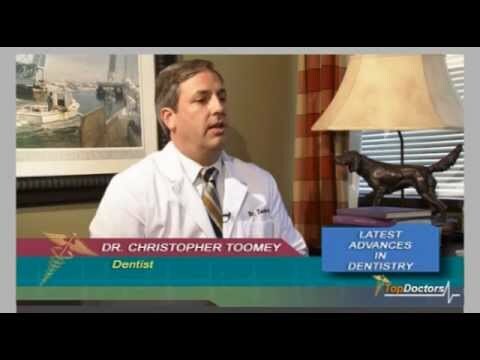 While under the effects of general anesthesia you cannot easily be woken, the effects of the anesthetic must either wear off or be chemically reversed.Even when sedation dentistry in Orange Park is employed, the patient usually requires a topical local antiseptic so that pain sensations are eliminated. Sedation dentistry is really something that is used with people who have a genuine fear of dentistry, to the point where they avoid dentists altogether, often leading to dire consequences. People with a low pain threshold, are fidgety or have a gag reflex are also candidates for sedation dentistry.